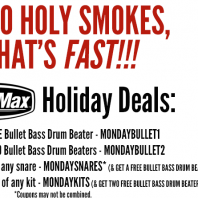 DrumMax Continues the Holiday Fun with More Deals on Drums and Accessories! 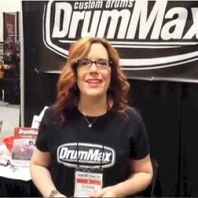 Just Released: Our “Reaction Video” for The Bullet Bass Drum Beater from Summer NAMM! Finally! Our video with reactions from drummers (even barefoot ones!) has arrived and was just released on YouTube! Check it out: So what do you think? Ready to try it out for yourself? and news about where you can find us?